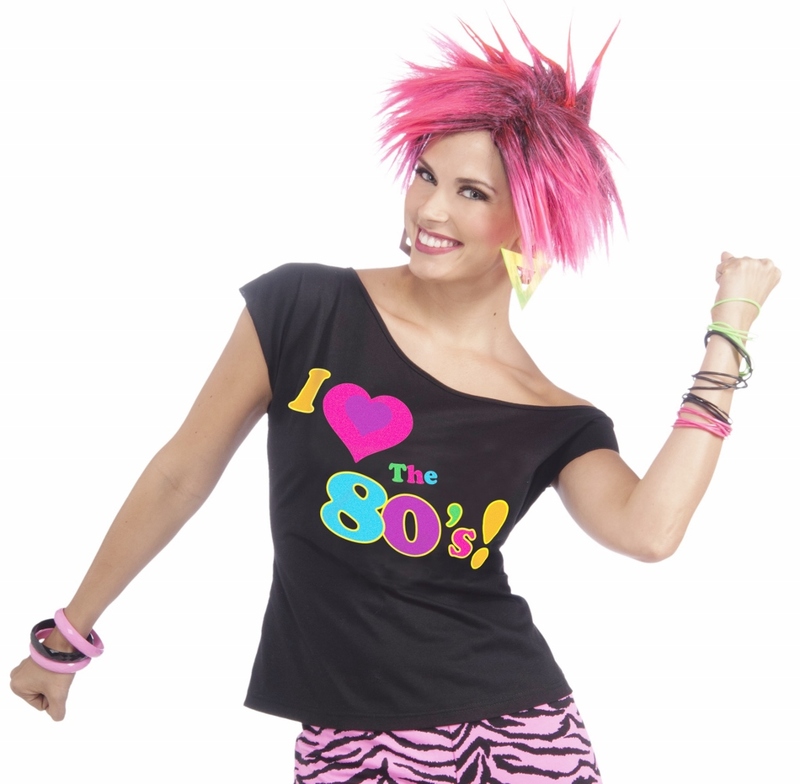 Black off the shoulder shirt with "I the 80's!" print. All size information is approximate only. All sales are final.